The South did not take the Wilmot Proviso laying down, though the fire-eaters’ answer doesn’t receive near the same coverage in most history books. William Lowndes Yancey of Alabama served only a term and part in the House but won some notoriety for his forceful oratory in favor of Texas annexation and the Mexican War, which provoked an opponent to challenge him to a duel. During his time in Washington, Yancey became increasingly convinced that a Northern conspiracy aimed to destroy the South. His speeches accordingly gave Northerners reason to suspect the same of the South towards the North. Yancey served only a term and a portion before resigning for financial reasons and to avoid from Northern Democrats who he saw as traitors. Resolved, That this Convention pledges itself to the country, and its members pledge themselves to each other, under no political necessity whatever, to support for the offices of President and Vice President of the United States, any person who shall not openly and avowedly be opposed to either of the forms of excluding slavery from the territories of the U.S. mentioned in the resolutions, as being alike in violation of the constitution, and of the just and equal rights of the slaveholding States. Resolved, That these resolutions be considered as instructions to our delegates to the Baltimore Convention, to guide them in their votes in that body; and that they vote for no men for President or Vice-President, who will not unequivocally avow themselves to be opposed to either of the forms of restricting slavery, which are described in these resolutions. The Alabama and Georgia legislatures endorsed the platform, as did party conventions in Florida and Virginia. The Baltimore convention of 1848, however, rejected the platform and selected Michigan’s Lewis Cass, originator of the concept of popular sovereignty (That the territories, not the Congress, should decide on slavery within their bounds.) as the Democratic nominee. Yancey and one other delegate from Alabama walked out and the convention proceeded without them. Yancey did not return to party conventions until 1860, when considerably more delegates stormed out with him. I began yesterday with the Wilmot Proviso and intended today to continue with a Southern response to it. Then, in the course of reading, I came upon insight into Wilmot’s motives that speaks broadly to the character to antislavery politics in the North. So I’ve transcribed some passages from Wilmot’s speech of February 8, 1847, straight from images of the Congressional Globe pages. Wilmot, in the style of the time, goes on at length so I’ve been a little more aggressive than I would usually be in pruning him down. Abolitionists remained a radical fringe and thus the accusation Wilmot rejects has a hint of red-baiting about it. Even during the war a majority of the North only accepted emancipation as a weapon with which to defeat the South and afterwards abolition to secure that victory. I demand that this Government preserve the integrity of free territory against the aggressions of slavery — against its wrongful usurpations. Sir, I was in favor of the annexation of Texas. … I was willing to take Texas as she was. … Slavery existed in Texas — planted there, it is true, in defiance of law; still it existed. … True it was held out to the North, that at least two of the five States to be formed out of Texas would be free. Yet, sir, the whole of Texas has been given up to slavery. … here was an empire larger than France given up to slavery. Shall further concessions be made by the North? This [Mexican] law prohibits slavery in California and New Mexico. But the South contend, that in their emigration to this free territory, they have the right to take and hold slaves, the same as other property. … Shall the South be permitted, by aggression, by invasion of the right, by subduing free territory and planting slavery upon it, to wrest these provinces from northern freemen and then them to the accomplishment of their own sectional purposes and schemes? This is the question. As Wilmot also states in the speech, the convention runs that on annexation of new territory that territory’s previous laws remain unless specifically voided. Thus stood Mexico’s abolition of slavery and thence comes Wilmot’s reference to planting slavery in Texas in defiance of law. And what did Wilmot really think about slavery qua slavery? Wilmot probably spoke for the Northern mainstream. Most antislavery politicians might have personally found slavery disgusting and immoral, but their driving political objections involved its competition with free labor and the great perceived power of slaveowning aristocrats. They did not envision a nation where the races lived together, peaceful and equal, but rather a lily-white republic where slavery proved no obstacle to the advancement of the white man. Yesterday, in the late 1840s, I talked about the outbreak of the Mexican War. Like Texas annexation the votes on it showed a pronounced sectional divide. It did not reach the extremes of the 1850s, but did mark another step away from an era where both parties, which had constituencies in North and South alike, worked to avoid being either the slavery party or the antislavery party. Always unstable, that settlement could not last forever. Texas strained it, but the popularity of annexation in general somewhat ameliorated the strain. Much the same happened with the votes on the Mexican War. Like in the Second World War, planning for the peace began during the fighting. Would the new territories of the Mexican Cession be slave or free? For a Democrat, a member of the party of expansion and the party more successful at marginalizing its antislavery wing, this was radical. It might not have happened, had Polk not alienated Northern Democrats with a low tariff (harming Northern manufacturing interests) and by compromising with the United Kingdom over the division of the Oregon Country at the same time as he favored extreme Southern expansion. Going further back, Southern Democrats denied Van Buren nomination for a second term in 1844 by bringing back a disused rule requiring a ⅔ majority of the convention. Wilmot’s proviso joined the bill with a 83-64 sectional majority. Attempts to forestall it with an extension of the Missouri Compromise (89-54) and to kill the entire bill (94-78) failed and the bill went to the Senate, where the sections stood evenly split. Senate Democrats planned to strip the Proviso and throw the bill back to the House. Senator John Davis (Whig-MA) tried to hold the floor until the last moment, leaving no time for the House to re-vote and thus forcing the Senate to take the bill as-is. But the official House and Senate clocks differed by eight minutes. When he called a vote, the House had already adjourned and the bill died. The Proviso returned in 1847, this time expanded to include all territory on the North American continent. Representative Stephen Douglas (D-Il), Lincoln’s famous debate partner, countered with another proposal to extend the Missouri Compromise, failing 109-82. The strengthened Proviso passed the House again only to be defeated by the Senate. When the Proviso-free bill returned to the House, every Northern Whig supported the Proviso still, but 22 Northern Democrats voted with the South. The Proviso came up one last time, as an amendment to the Treaty of Guadalupe Hidalgo ending the war. Now a senator, Stephen Douglas joined with other Northern Democrats and the South in defeating it. But all of this left question of slavery in the Mexican Cession unanswered. What began with Texas annexation as a partisan, but also sectional divide on expansion strategy had become a sectional, but also partisan divide on slavery expansion. The division hit the Whig party hardest, but the Northern, frustrated Van Buren Democrats, after failing to get a pro-Proviso plank into the party platform in 1848, came to see their party as dominated by Slave Power and began looking for a new home. I’m pretty new at this blogging thing, so today my blogfather took me under his wing and told me I ought to put more links in to help the casual reader navigate around and be generally more informative. Having a few minutes, I went and did that tonight on the old posts. But that appears to have shot out a few of those as if they were new. So sorry if that spammed anybody. I’ll try to take more care in the future. Yesterday I mentioned Texas’ disputed boundary with Mexico. The Texan claim included half of modern New Mexico, the Oklahoma panhandle, a corner of Kansas, a long slice of Colorado, and even a small portion of Wyoming. The Texans never controlled half of it. Their only expedition to extend their authority over New Mexico suffered under Indian raids, got lost, and finally ended up in a Mexican jail. 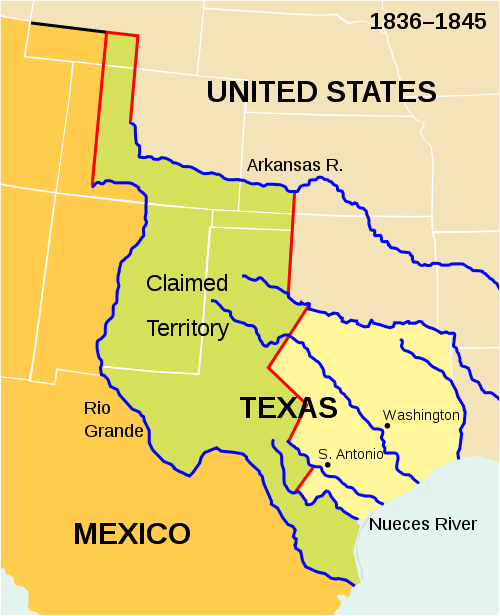 Mexico considered the Texan claim preposterous, insisting instead on the Nueces River, and threatened war should the United States annex Texas. The US did so on December 29, 1845. James K. Polk, a slaveholder and the only president we know of who traded slaves from within the White House, did not wait for the paperwork. He ordered Zachary Taylor to the Nueces with 3,500 men, close to half of the entire American army at the time. Taylor arrived there in October of 1845. In November, Polk dispatched John Slidell to Mexico City in secret with an offer to buy California, New Mexico, and settle the border at the Rio Grande in exchange for forgiveness of debts owed to Americans from the Mexican War of Independence to the tune of $3 million (about $71 million today) and offer up $25 million to $30 million (almost $600 million to $713 million) in cash. The Mexicans refused. 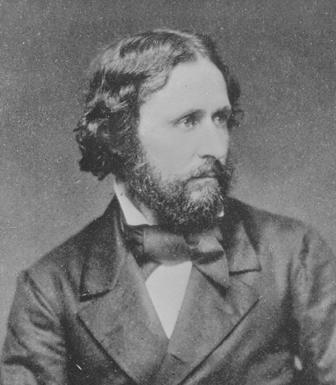 John C. Frémont, explorer, provacateur, and future presidential candidate. Meanwhile, over the winter of 1845-46 federally commissioned explorer John C. Frémont led an armed expedition into Upper California. Frémont insisted he only wanted supplies for a trip up into the Oregon Country. He only entered Californian towns to find a home for his mother, Frémont maintained as he tried to spark an independence-to-annexation movement on the Texas model among local Americans. Smelling a rat, the Mexicans ordered him out. Frémont instead built a fort and ran up the American flag, prompting the local American consul, who was under orders to quietly support a California independence movement, to tell him how his actions undermined those efforts. Frémont left in March, but returned in June to help the Bear Flag Revolt. Polk ordered Taylor’s army to the Rio Grande in early 1846, where they built a fort facing Matamoros and Taylor attempted negotiations. No one in Taylor’s army had sufficient Spanish and none of the Mexicans facing him had sufficient English, so they negotiated fruitlessly in French. As the standoff progressed, Mexican reinforcements arrived. On the night of April 24-25, a cavalry detachment of seventy men, tasked to see if the Mexicans had crossed the Rio Grande northwest of the army’s position found out the hard way that two thousand had done just that. After a fight that went on through the night, they surrendered. On receiving the news, Taylor sent word back to Washington that hostilities had commenced. It arrived two weeks later. But Lincoln and Emerson did not represent the majority. War fever swept the nation and, after some early victories, Congress turned to what to do with the vast territories the army would surely take from Mexico. I’ve discussed in general terms most of the major crises and compromises leading up to the election of 1860 and subsequent war but my focus, has largely been on what the events meant and how the people of the time understood them, while paying less mind to the events themselves. As I’ve written those pieces, I’ve often thought I should step back and try to do something closer to a chronological approach handling the events that drove the rising tensions and increasing radicalism. So this is the first installment of The Road to War. Any starting point is at least somewhat arbitrary. Most accounts begin with the Mexican War, but I wanted to take one more step back. Further entries might explore further back. Southerners settled Texas, taking advantage of newly independent Mexico’s law opening the land to anyone regardless of race or nationality. Always hungry for new land, planters came across the border with their slaves. The first few grants predated Mexican independence, but the big wave of settlement came after 1821. In relatively short order the Americans formed the local majority. Then Mexico abolished slavery. The Americans in Texas promptly revolted to defend their right to slave property. Many Texans wanted back into the US. They sent a minister to the Van Buren administration seeking just that in 1837. He declined on the grounds that Texas’s unsettled borders would mean war with Mexico and that Texas would greatly expand American territory open to slavery. 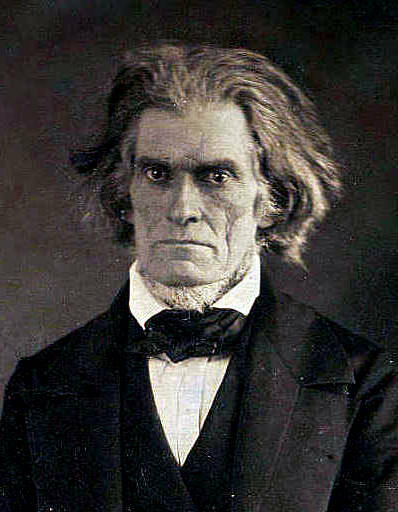 John C. Calhoun of South Carolina, Secretary of State, Senator, and the generation’s leading secession and slavery booster. Per the Constitution, treaties require a ⅔ majority in the Senate for ratification. It failed 16 to 35, with 28 of the Senate’s 29 Whigs voting against. (The odd Whig out was a southerner from Mississippi.) The Democrats split, five northerners and ten southerners in favor to six northerners and five southerners opposed. Though not as polarized as the nation would become, already in 1843 the vote had a strong sectional character. James K. Polk ran in 1844 on an expansionist, annexationist platform. Seeing the popularity of annexation, Tyler and John C. Calhoun arranged a joint resolution of Congress to annex Texas instead of a treaty. Requiring only a simple majority, the resolution passed (Senate: 27-25, House 132-76) days before Polk took office. Texas accepted and Congress ratified the acceptance (Senate 31-14, with 7 abstentions, House 141-58, with 21 abstentions) and Texas skipped over the usual territorial phase, becoming a state immediately. The deed was done, but it foreshadowed greater conflicts over slavery in the West, which drove much of the polarization before the war. The next of those would, of course, include the territory seized in the war that annexation brought on. Yesterday I talked about Lemmon vs. New York as the next Dred Scott case. Today I want to drill down and look at the facts in each to show just how similar they are. Born a slave in Southampton county, Virginia, Dred Scott went with his owners to Alabama where they failed at farming and came eventually to St. Louis. There they sold him to army surgeon John Emerson. Scott accompanied Emerson to his postings in the free state of Illinois and then to modern Minnesota, free soil under the Missouri Compromise. There he married another slave and she gave birth to his daughter. The same Missouri Compromise made that daughter free at birth. After two years, the army transferred Emerson to St. Louis and then Louisiana. The Scotts followed. Emerson married Irene Sanford and returned to Missouri with the Scotts in 1842. Emerson died the next year, making the Scotts Sanford’s property. She instructed Scott to hire out to another army officer. 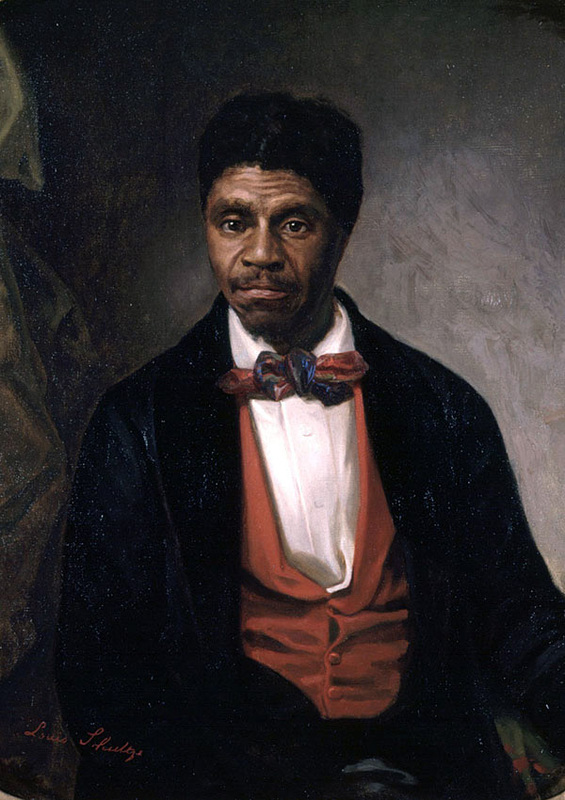 We don’t know exactly why Dred Scott only now sought his freedom. He might not have known his rights based on his stays in free Minnesota (then Wisconsin Territory) or Illinois. He might have feared retaliation against himself and his family. Whatever his reasons, Scott tried to buy his family from Sanford. She refused. With the help of abolitionist friends, Scott sued. State and federal law excluded slavery from territory where the Scotts once lived. They thus became free when taken there. Missouri free the Scotts from a combination of the supremacy of federal law in the Northwest Ordinance, repeated in the Wisconsin Enabling Act, and the Missouri Compromise in addition to its Constitutional obligations to acknowledge Illinois’ freeing of the Scotts via the Full Faith and Credit Clause. The Missouri supreme court took up the case and overturned twenty-eight years of precedent in finding that Missouri law prevailed and the Scotts remained slaves. The opinion of the court referenced the the proslavery climate of 1852 making such freedom suits unwelcome and informed Scott he ought to have sued in a free state. Under Missouri law, control of Emerson’s estate passed to Irene’s brother, John Sanford. 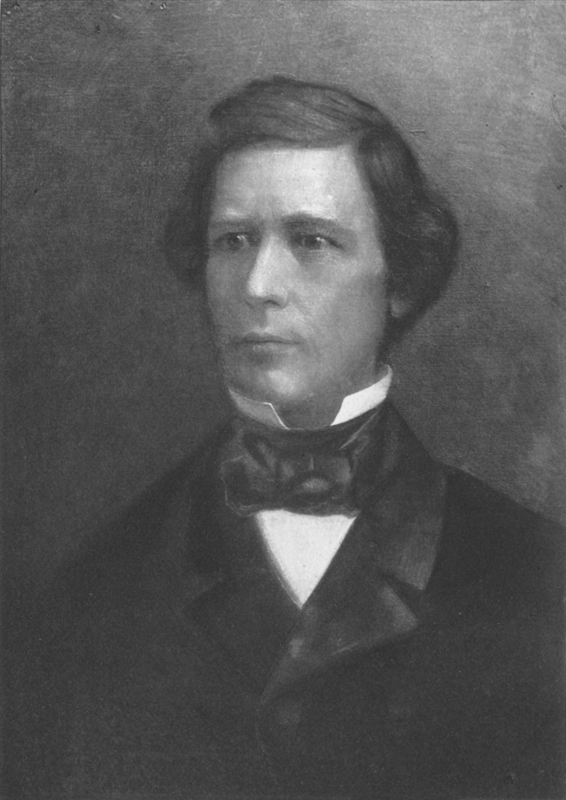 The latter Sanford lived in New York, which gave Scott a federal case. With some new lawyers he sued again. In 1854, the circuit court upheld the Missouri supreme court’s verdict. Scott appealed to the Supreme Court, delighting proslavery opinion thanks to that court’s southern majority. 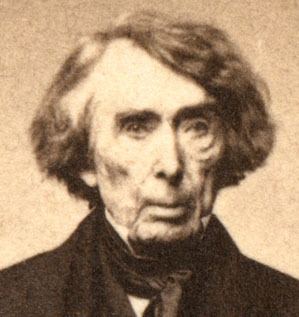 Roger Taney’s court ruled as described yesterday, overturning a law as unconstitutional for only the second time in the court’s history. In 1852, the same year Dred Scott’s suit before the Missouri supreme court failed, Jonathan and Juliet Lemmon of Virginia sailed from Norfolk to New York, aiming to catch a steamer to Texas. They brought with them eight slaves (ages 2-23), and put them in a boarding house while they waited for their ship. The slaves came in contact with a free black, who petitioned the New York courts on their behalf under New York’s antislavery laws, which gave freedom to every slave brought into the state for any reason. Like the Scotts, the Lemmon’s slaves came to a free state and sued under its laws for their freedom. Unlike the Scotts, they were still in that state. Jonathan Lemmon appealed to the New York Supreme Court, then its Court of Appeals (the highest court in the state). Both courts ruled against him. Seeing the potential of the case, Virginia determined to pursue the matter with Roger Taney’s Supreme Court. Having already put slavery beyond the power of territorial or federal law, only state law remained and the Lemmon case directly challenged it. Yesterday I described various setbacks to the antislavery movement over the course of the 1850s. Space did not permit also including much of how they understood these setbacks. (I try to keep these posts to about five hundred words.) But they saw writing on the wall just the same as their Southern adversaries did. Welcome, or unwelcome, such decision [that the Constitution forbade the states outlawing slavery] is probably coming, and will soon be upon us, unless the power of the present political dynasty shall be met and overthrown. We shall lie down pleasantly dreaming that the people of Missouri are on the verge of making their State free, and we shall awake to the reality instead that the Supreme Court has made Illinois a slave State. The next Dred Scott case had already come up through the New York courts, appealed by Virginian slaveholders who had their slaves freed under that state’s law. Given Taney’s firm commitment, on display in Dred Scott, to resolving the issue of slavery once and for all who could doubt the outcome of Lemmon vs. New York when it arrived on his docket in 1860? But when we see a lot of framed timbers, different portions of which we know have been gotten out at different times and places and by different workmen,—Stephen [Douglas], Franklin [Pierce], Roger [Taney], and James [Buchanan], for instance,—and we see these timbers joined together, and see they exactly make the frame of a house or a mill, all the tenons and mortises exactly fitting, and all the lengths and proportions of the different pieces exactly adapted to their respective places, and not a piece too many or too few, not omitting even scaffolding—or, if a single piece be lacking, we see the place in the frame exactly fitted and prepared yet to bring such piece in—in such a case we find it impossible not to believe that Stephen and Franklin and Roger and James all understood one another from the beginning, and all worked upon a common plan or draft drawn up before the first blow was struck. “A house divided against itself cannot stand.” I believe this government cannot endure permanently half slave and half free. I do not expect the Union to be dissolved—I do not expect the house to fall—but I do expect it will cease to be divided. It will become all one thing, or all the other. Either the opponents of slavery will arrest the further spread of it, and place it where the public mind shall rest in the belief that it is in the course of ultimate extinction; or its advocates will push it forward till it shall become alike lawful in all the States, old as well as new, North as well as South. Traditionally historians have dismissed Lincoln’s fears as campaign rhetoric, but over the past few decades the trend, as with many trends in Civil War historiography, has greatly reversed. While I don’t think many would endorse the view that a conscious, deliberate conspiracy to turn free states slave existed, the outcome naturally follows from slaves being property and the Constitution’s guarantee of property rights. John C. Calhoun’s vision of an America where he could take his wagon, his horse, and his slave anywhere in the nation and be completely secure in his ownership of them all does look like where the Congress and Court aimed. In that America, a free state is a legal impossibility. The Fugitive Slave Act of 1850 effectively legalizing kidnapping, requiring federal marshals to arrest and hold any black person that a slaveholder cared to claim was a runaway. These alleged fugitives had no right to contest their seizure, repudiating free state laws that gave them just that. That the law also gave a bounty to those capturing runaways and offered only the narrowest fig leaf of due process: a simple hearing where the alleged fugitive could not defend himself and the judge would be paid $10 (approximately $266 in 2011 dollars) for ruling for the slaveowner but only $5 if ruling against. The Kansas-Nebraska Act of 1854 repealed the Missouri Compromise that formerly excluded slavery from nearly all the territories, opening the West to slavery. As a result of the former, filibusters from Missouri (including senator David Atchison) and Arkansas flooded into Kansas to ensure it became a slave state. Antislavery forces responded in kind and guerrilla war erupted while pro-slavery and anti-slavery forces submitted duelling constitutions to Congress. No black person could ever be a citizen and thus entitled to the protection of the laws of the United States, including the privilege of freedom granted to slaves who came to free states. Neither Congress nor the the territorial legislatures could constitutionally exclude slavery, ensuring that the Kansas method for making new slave states would remain legal. What remained, then? The whole antebellum edifice of limited slavery, save the prohibition on the Atlantic slave trade alone, had passed into history. Slaveholders could move their slaves through free states at will. They could bring slaves and with them slavery to any territory. Neither territorial legislature nor Congress could exclude slavery from any part of the United States and slaveholders could flood into any new territory before statehood to be sure it adopted slavery on admission to the Union. Tomorrow, I’ll talk about how the antislavery movement understood all of this. Edmund Ruffin of Virginia, firer of one of the first shots on Fort Sumter and the first Confederate to enter it, was a prominent fire-eater. He shot himself three months after Appomattox. The division of 1860 and the resulting Secession Winter did not come ex nihilo. In the decade before the war, radical disunionist voices gained increasing sway in the Southern political class and their position that any restriction on slavery in the territories both unconstitutionally violated the property rights of Southern planters and posed an existential threat to the Southern way of life became received wisdom. The North’s supposedly moderate compromises could only then mask abolitionist fervor. To countenance them would allow a kind of backdoor abolition that would reduce the white South to poverty or even destroy it in a race war. Seeking in part to redress the Senate imbalance that California’s statehood created, Southerners flocked into Kansas to ensure it became a slave state. Antislavery Northerners responded in kind and guerrilla war erupted. While militias and governments dueled in Kansas, Minnesota and Oregon came in as free states and balance in the Senate became officially a thing of the past. 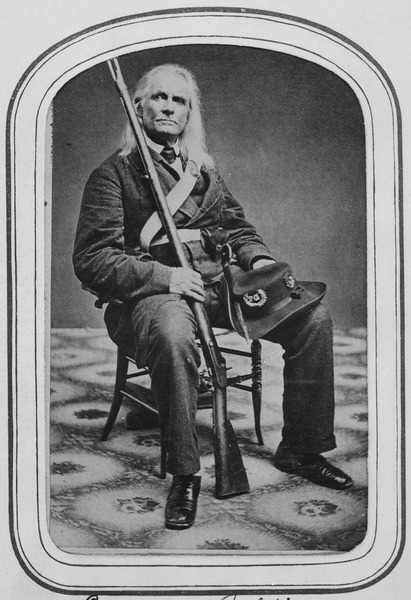 A Yankee abolitionist and veteran of Bleeding Kansas went south to seize arms and stage an insurrection. A political party grew with the express purpose of limiting slavery and, in 1856, nearly won the presidency. In 1860, that party elected Lincoln. But in 1860 American slaves, as a financial asset, were worth approximately three and a half billion dollars–that’s just as property. Three and a half billion dollars was the net worth, roughly, of slaves in 1860. In today’s dollars that would be approximately seventy-five billion dollars. In 1860 slaves as an asset were worth more than all of America’s manufacturing, all of the railroads, all of the productive capacity of the United States put together. Slaves were the single largest, by far, financial asset of property in the entire American economy. The only thing worth more than the slaves in the American economy of the 1850s was the land itself, and no one can really put a dollar value on all of the land of North America. All of that value, especially when held by the political class itself, could not go undefended. In the lead-up to the war, the Southern political class came to fear what they called the Shrinking South: The slave population would continue to increase. At present, they had lands in the West open to use those surplus slaves so demand could keep up with supply. But were the West closed to slavery, the natural increase of the slave population would not stop. More slaves in the face of static or declining demand would erode the value of those slaves already held, bringing financial ruin on a scale many of them probably could not imagine. Lincoln’s firm campaign promises, his party platform, and his steadfast insistence on not compromising on slavery in the territories meant the arrival of that nightmare. They had to go or be ruined. They got to go and be ruined.